Three years after the conflict in Chernarus, portrayed in the original Arma 2, a new flashpoint explodes in the Green Sea Region. Coalition forces led by the US Army are deployed to Takistan to quickly restore peace and prevent further civilian casualties. You will enlist into various roles within the US Army, from basic infantrymen, through special operatives, to pilots and tank crew in this new installment in the award winning line up of military simulators for PC from Bohemia Interactive. 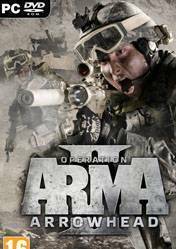 There are no comments yet about Arma 2: Operation Arrowhead . You can be the first one!